Ask for our discount rates for booking close to our office location! Quaint privacy describes Indian Rocks Beach, which is unique among the Gulf beaches because of its lack of hi-rise hotels. Indian Rocks Beach’s zoning laws stipulate that no building shall be more than 3 stories tall, so this 1.5-acre beach site is perfectly non-touristy. There are hardly ever more than a handful of souls on the beach, so it’s a unique oasis among the more tourist-traveled spots. 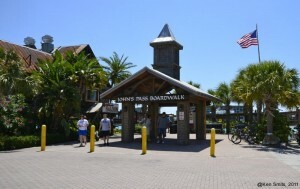 The beach park, which was dedicated to the public on September 29, 1995, features 80 parking spaces for vehicles, a restroom, outdoor showers, and lovely landscaping. The Florida Botanical Gardens is located at 12520 Ulmerton Road in Largo and is part of the Pinewood Cultural Park. 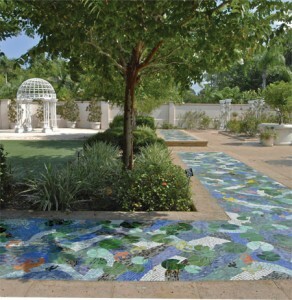 It’s perfect for weddings because it features its own Wedding Garden, which has been enhanced recently with mosaic tiles for a picture-perfect setting. If you’d like to have a large, grand wedding in the park, be sure to contact them early to reserve the garden for your wedding day. There is a charge to use the venue for large parties and the price list is here. You can also check out what’s in bloom for your special occasion! Don’t forget to check out Heritage Village!! This lovely, 21-acre living history museum park is hidden in the middle of Pinellas County, near the Botanical Gardens and they have the BEST gazebo for an outdoor wedding! Just across from the Gazebo is a tiny chapel if you’d prefer to be indoors. The natural pine and palmetto landscape is home to some of Pinellas County’s most historic buildings. Prior wedding arrangements must be made by the wedding party by calling (727) 582-2426. 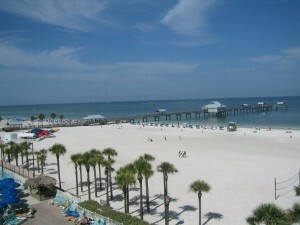 Clearwater Beach was voted “Florida’s Best” by USA today in 2013 and with good reason. This barrier island resort on the Gulf of Mexico has pristine white sands and all the amenities a bride could hope for from hotels to restaurants ready to cater any size reception. With stunning views and gorgeous sunsets, Sand Key Park is one of our most popular wedding locations! 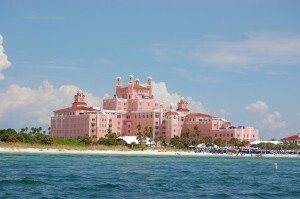 Opened to the public in 1984, Sand Key is a 95-acre barrier island between the Gulf of Mexico and the Florida mainland. 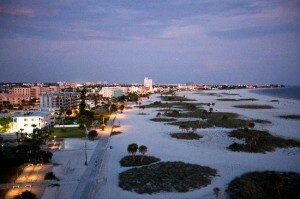 Clearwater Pass leads from the Gulf to the Intracoastal waterway and separates the park from Clearwater Beach. From Sunshine Beach to Sunset Beach and Mid-Island in between, Treasure Island boasts beautiful venues for your wedding! There are a few things you should know, however, before you start planning your big day! Go here for the official guidelines for having a beach wedding anywhere on Treasure Island. 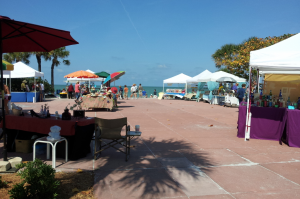 War Veterans Memorial Park is SO private, with some of the best views in Pinellas County! This is a popular location for wedding ceremonies, especially Point’s Shelter #5 overlooking Boca Ciega Bay and providing showcase photo ops. 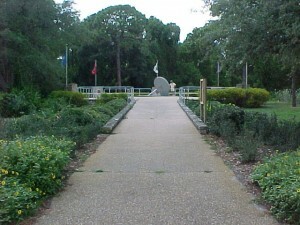 Donated to the county as surplus federal property in 1963, War Veterans’ Memorial Park consists of 122 acres located on Boca Ciega Bay with access to the Gulf of Mexico. Check out the virtual tour of their shelters. 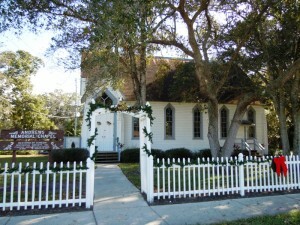 Owned and operated by the Dunedin Historical Museum, the Andrews Memorial Chapel is the cutest little wedding chapel! It’s located at the entrance to Hammock Park at the end of San Mateo Drive and is just minutes from Clearwater and Tarpon Springs! 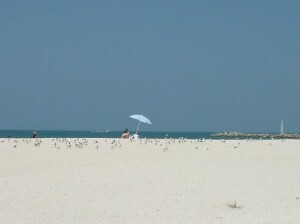 Beautiful, pristine, quiet and aptly-named, Honeymoon Island is the perfect choice for the nature lover! Drive across Dunedin Causeway to enjoy the sun-drenched Gulf beaches, mangrove swamps, and tidal flats of Honeymoon Island. Nature lovers will find osprey nests, a wide variety of shorebirds, and one of the few remaining virgin slash pine forests in South Florida. 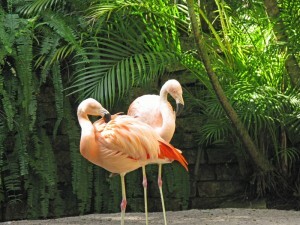 The park also boasts several nature trails and bird observation areas. 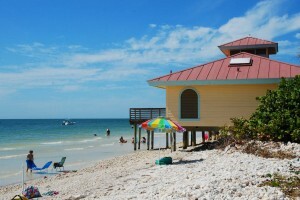 Visitors can swim, fish, and snorkel in the warm waters of the Gulf or picnic while they enjoy the beautiful scenery. Shelling is particularly good here, as the Gulf currents deposit an incredible variety of seashells on the shore .For a super private and intimate ceremony, take the ferry out to Caladesi Island! Ask about locations in Tampa, Bradenton, Sarasota and other areas not located within Pinellas County. Additional travel fees will apply.